The Brain needs the right kind of energy and nutrients throughout the day. These nutrients come from your diet. To remember things, you must be alert and be able to concentrate. If you are unfocused, your brain is not going to perform at its best. 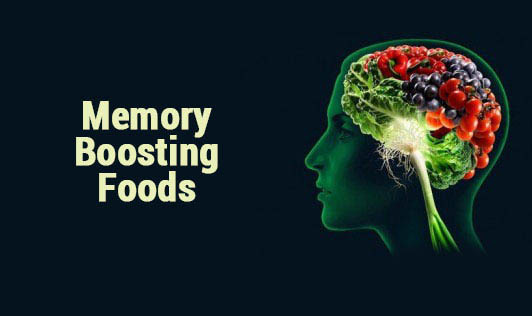 Your diet and your memory are very closely linked. Some of the dietary changes you can make to help improve your memory. There are certain foods that are either suspected to improve brain function or have been proven to do so. Many of these brain foods protect your brain by releasing anti-oxidants, natural chemicals that break down harmful compounds called "oxidants" that your body produces naturally. Most of these foods also contain important vitamins and nutrients essential for health. Because each food is a little different, it is important to eat a variety. You need a well-rounded diet of brain foods to get the most benefit. Try to eat at least one serving of each brain food at least once a week. Eating them every day would be even better!